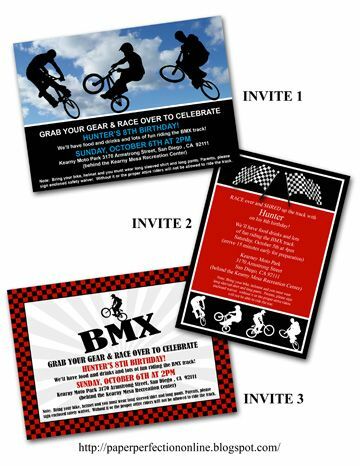 I recently had a request for a BMX invitation and party printables. 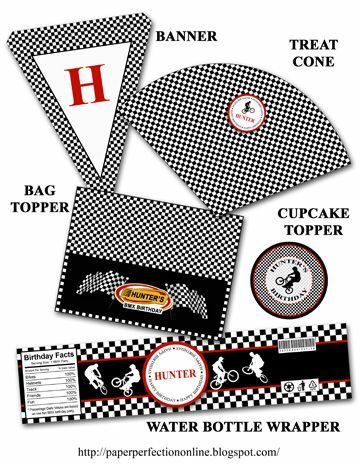 Here are a few of the items that I created including a BMX invite, cupcake topper, birthday banner, water bottle label and candy bar wrapper. If you would like these party printables or custom creations for your next party or event contact Paper Perfection at jtanddolly@yahoo.com for pricing and details. 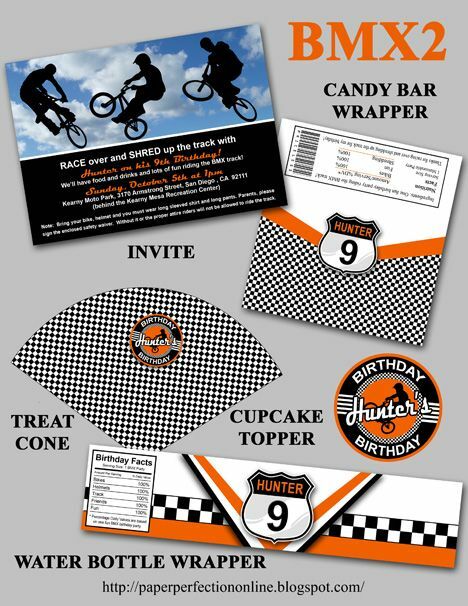 Hunter liked his 8th birthday party so much...he had to do it again...so Tyla contacted me to create a new collection for another BMX party. Here are the items for a second BMX party. If you are interested in either of these collections contact Paper Perfection at jtanddolly@yahoo.com for priciing and details.